Research shows that younger people are more at risk of developing a gambling problem than older people. Online betting companies have been branded "parasites" by a senior Wakefield councillor, during a debate about the impact of gambling on the district's health. Labour's Graham Isherwood likened the prominence of the betting industry in public life to that of tobacco companies before a crackdown on their advertising during the late 1990s. The local authority has set up a working group to look at the effect of gambling on individuals, with some suggesting that young and vulnerable people are "bombarded" with messages encouraging them to bet. Councillors are concerned that while they may be able to block applications for new high street bookmakers, they are powerless to mitigate the increasing popularity of online gambling. At a meeting of Wakefield's overview and scrutiny management board on Monday, members backed recent proposals from the Labour Party to tighten regulation, including a ban on credit card gambling and an end to betting adverts during live sport. The district's most senior politicians will now be lobbied in an attempt to push the subject further up the agenda at a national level. Coun Isherwood said: "If we can try to get in touch with our MPs, and get them on our side, and the public's side, then we can put some pressure on these parasites. "And they are parasites - there's no other word to describe them. "I think gambling is now becoming a social stigma, a bit like tobacco is now a social stigma. "When we were kids, tobacco advertising was everywhere - at the racing, at the cricket - everywhere." It was suggested that peer pressure and attempts to make gambling a social activity was partly to blame for young people taking up the habit. Government research has revealed that people between the ages of 25 and 34 are most likely to be classed as "problem gamblers". Coun Isherwood said: "I started smoking because I was the only player on my rugby team who didn't smoke. That's how it starts. "I've managed to quit now for a number of years." Wakefield's director of public health Anna Hartley said that poker and bingo sites had taken advantage of punters by putting forward the promise of meeting new people. She said: "They've created this whole idea of it being a community. That's been ruthlessly exploited by the companies. It's complete rubbish. "There's a strong relationship between a lack of finance, and mental health issues and obviously gambling and debt feed into that." 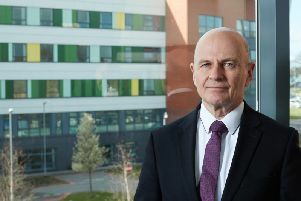 Chris Wathen, from the council's public health team, said that Wakefield had been "slow on the uptake" with problem gamblers compared to cities like Leeds and Sheffield, which have casinos. And he added that an addiction "crisis" could be expected in years to come, because of how young people with access to instant technology are targeted. He said: "On any live game on TV now, you've adverts in between with betting companies pushing their services and trying to entice people with free bets. "The challenging thing will be to support problem gamblers from the next generation, because they've got laptops and phones." The Remote Gambling Association, which regulates online betting activity, has been contacted for comment but has yet to respond.